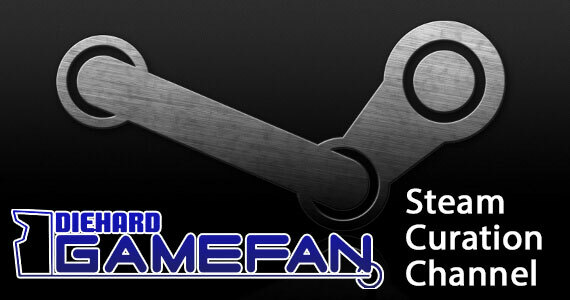 I get ribbed a bit from my Youtube cohorts for “playing kid’s games.” When you go through my PS3 trophy score, you will see games like Lego Harry Potter, Ratchet and Clank, Sly Cooper, and so on. Part of this can be excused by the fact that I have a soon-to-be eight year old son, but another part of it is also attributable to the fact that I have always been a nut for platformers, and you just don’t really see hard-edged platformers that aren’t also third person shooters (Uncharted), tongue-in-cheek foul-mouthed fragfests (Matt Hazzard: Blood Bath and Beyond), or have more puzzle based elements/Metroidvania leanings (Shadow Complex, Trine). To get a more pure platforming experience, you often have to turn to games that might have a bit of adult humor in them (Ratchet and Clank) but for the most part are visually and plotwise geared towards the younger crowd. Long story short, do I feel any shame playing Ratchet and Clank: A Crack In Time on its hardest difficulty, or trying my hand at speed runs on Sly Cooper? Not in the slightest. 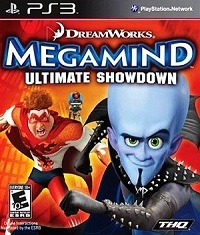 So I suppose part of whether you will enjoy Megamind depends on if you consider it a “kids” game, because from my point of view, labeling a title a kid’s game isn’t just about how it presents itself visually and plotwise, but also in its degree of difficulty, the sophistication of the controls, and its length. 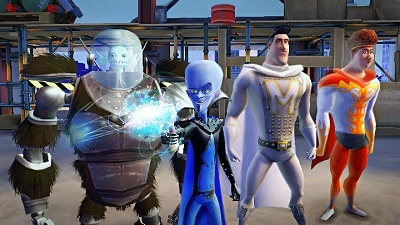 So with that in mind, let’s take a look at Megamind and see what’s what. The story is told through cutscenes of course, and basically picks up where the film left off. Rather than simply rehashing fights from the film, you’ll be in hero mode here, protecting Metro City from new evildoers who collectively call themselves The Doom Syndicate, which includes a character who looks like a pimp (and sure sounds like he was voiced by Keith David), a character who runs what appears to be a brothel and looks for all the world like a Madam from a 70’s exploitation film era “house of ill repute,” and others. Yeah, not sure what the writers were thinking with that one. As you take each one out, you use what you recover from them to rebuild a device in the center of your lair to help you ascertain the source of what’s plaguing the city, which of course ends up being none other than Tighten, who has somehow managed to get his powers back. There are no plot twists, no surprise shockers, its just the bare bones “a bunch of bad guys are trying to destroy the city and I have to stop them” schtick, so those looking for something that builds on the plot of the movie will be disappointed. Plotwise, this game has about as much story as the first ten minutes of a 30 minute episode of a 90’s era Disney syndicated cartoon show based on one of their films. Story Judgement: Kid’s Game. Typically what you get with one of these games based on a kid’s film if you buy it on PS3 or Xbox 360 is the Wii version with the graphics ported up to 720p. That’s pretty much what you get here. You won’t see anything mindblowing, and it doesn’t come close to the “game that looks like a Pixar film” vibe you’ll get from Ratchet and Clank: A Crack In Time, but it does do a decent job of retaining the overall look and feel of the film. 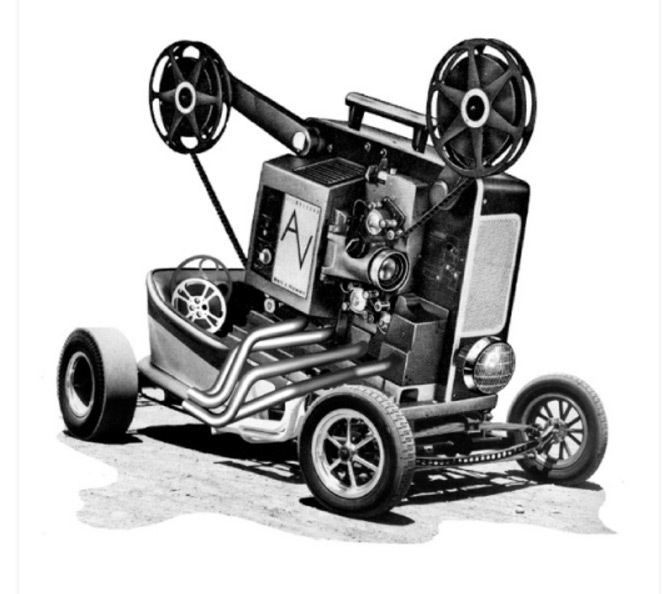 There’s no slowdown to speak of, there’s no screen tearing or frame rate dropping to speak of. The character models are well animated (though less so for the repetitive enemy goon models) and everything has the same bright, colorful look as the film. Graphics Judgement: Kid’s Game. The film score wasn’t memorable enough for me to be able to say if the game borrows its music from it or not, but it sounds cinematic enough, so that’s likely the case. It’s nothing to write home about, but none of it feels out of place. The sound effects are well done, but again, nothing overly memorable. And then there’s the voice acting. Oh dear Lord, the voice acting. None of the original actors lent their voices to this game as far as I can tell. They all sound like badly chosen sound-a-likes, especially Megamind himself. This guy sounds NOTHING like Will Ferrell, and it’s actually rather distracting, as he tosses out repetitive one-liners throughout the course of the game, so as you play you are constantly reminded that they couldn’t or wouldn’t pony up the dough to get Ferrell on board. At least with Toy Story 3 they got Tom Hanks’ brother to do the dirty work. This leaves me no choice but to give the sound category an overwhelmingly resolute “meh.” Sound Judgement: Licensed Kid’s Game. Happily, this is one category where they got things right. The controls are traditional 3D platformer controls, and are as tight as can be. 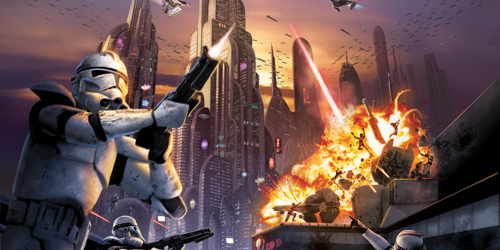 Everything works just as it should, which for a licensed movie game is a rare commodity. 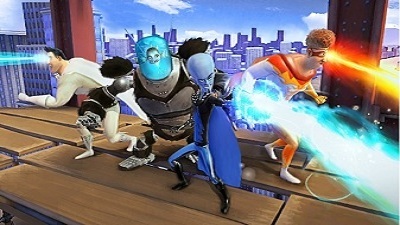 The jump button works just as it should, the various attacks never miss a beat, and Megamind goes exactly where you want him. However, gameplay-wise there are a few issues. The camera is just fine, it never detracts from the experience or gets in the way, which is more than I can say for many higher caliber games in this genre. But, there are choices here that make me scratch my head. 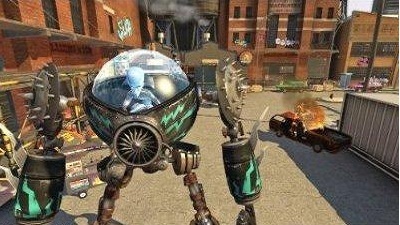 They’ve implemented a fairly deep upgrade system for a game of this type, with numerous different weapons to power up by way of earning “B.I.N.K.E.Y.” (these blue orbs that you find by killing enemies or smashing stuff, the Megamind equivalent to Ratchet and Clank’s bolts). But powering up the weapons doesn’t really seem to effect them in any measurable way, and considering that this game can be walked through from start to finish in about three hours (and with the Platinum trophy in hand I might add), the only reason it seems to be here is to artificially stretch the game’s length by making you grind for another 20 minutes or so if you want the Platinum, since one trophy requires you to max out all the levels. Which brings me to the game’s difficulty. This is quite possibly one of the easiest platformers I’ve ever played. Not only does the game show you what to do by laying the weapon you need right at your feet in front of what you need to use it on, but there are arrows pointing you in the direction you need to go, and Minion is constantly telling you what you need to do, over and over again, with the same lines tossed out ad nauseum until you go where you need to go. You have unlimited lives, and if you do happen to die, which is hardly ever unless you miss-time a jump, you will respawn fairly close to where you bit the dust. In fact, I can think of only one spot that gave me anything near approaching a level of challenge, and that was the boss fight with the pimp guy. He’s located in a large square room made to look like a disco dance floor. He’s standing on a walkway that surrounds it, and has several stations that he switches from. Underneath each is a switch you have to throw when he happens to stand there, so you have to get to him and throw the switch before he warps to another spot on the walkway. Meanwhile, the floor is split into several disco squares that turn on and off in a pattern. if you’re standing on one when it lights up, you get toasted. Plus you have a ton of his respawning goons trying to hit you, shoot you, or throw things at you. I made it past him on my first attempt, but I’d almost lost all my life before I figured the pattern out and got the job done. Sadly, the rest of the game is far easier, including the boss fights, and especially if you’re playing offline co-op (but I’ll get to that in a second.) Gameplay Judgement: Kid’s Game. Like I said before, the entire game can be played through in about three hours. There is, of course, no online multiplayer, and there’s certainly nothing here that comes anywhere close to the incredibly fun mayhem of Toy Story 3‘s Toy Box mode. There are several fun unlockable mini-games to enjoy, but they’re all-too-brief affairs that feel like they would have been better served if they’d been incorporated into the actual game, then had more difficult versions included as mini-games with perhaps an online leaderboard to give those younger gamers some bragging rights fodder, or at least gave you a reason to spend time mastering them by having trophies assigned to specific goals. But there isn’t a single trophy to be earned in the mini-games. Not one. Considering the fact that the recent release of The Sly Cooper Collection not only has three complete trophy sets but also a set of Move-centric mini-games that includes its own completely separate selection of trophies to earn, and considering that The Sly Cooper Collection probably had much lower development costs than this title, the mini-games offered here just seem like a last minute tack-on. Short of the “Max Out All Weapons” trophy, all trophies are easily unlocked during the three hour playthrough, and then you’re done. Honestly, I think even someone who rented this would be disappointed in gameplay vs money spent. Only true beginner level players under the age of six are going to get any lasting challenge or replayability out of this. Replayability Judgement: Too Short Kid’s Game. I suppose you could say on one hand that the game is balanced because it starts out incredibly easy and, short of the pimp boss fight, ends that way, but then again, there are even aspects of this title that make it, dare I say, even easier. As if the incredible lack of difficulty and game length weren’t enough, there is an offline co-op mode. No, the second player doesn’t have the option of playing as one of the other characters for some real wacky co-op platforming action. Instead, it goes the Super Mario Galaxy route and gives the second player the lackluster challenge of making everything easier for Player One. 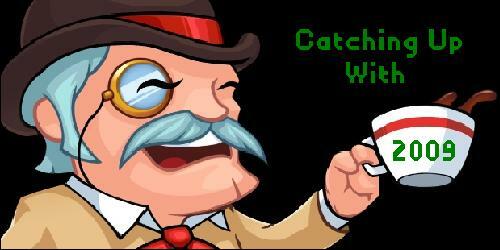 The second player gets to control a bot, a sort of Mr. Zirkonish little flying robot that can shoot at enemies. So basically, player two thins out the crowd for player one, making it even easier to get through the game, and that’s about it. It just feels like a cheap and easy way to get a second player in there. Balance Judgement: Kid’s Game. Well, what can I really say here? The story, music, and style are taken from the film. 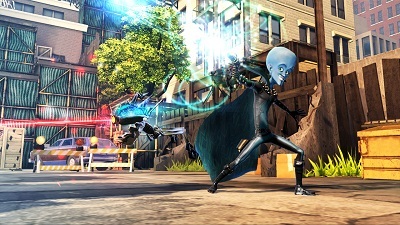 The gameplay is a sort of dumbed down mish-mash of Ratchet and Clank and Jak and Daxter. 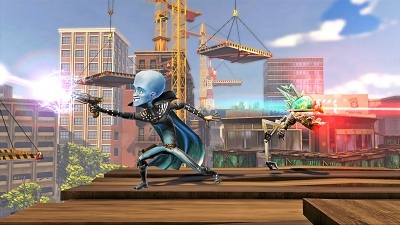 The mini-games are just Megamind restyled rehashes of stuff that’s been available on the Wii since its launch. There’s nothing at all original about what this game does or how it does it. Originality Judgement: Rushed Movie Licensed Kid’s Game. I will admit that I had a good time playing this with my kid. In fact, after we won the Platinum together he took it upstairs and three hours later had earned the Platinum on his own account. But since beating the game, I’ve had absolutely no desire to ever play it again, and I’m sure my son feels the same way. Put simply, there’s just not enough meat on this bone. Addictiveness: Kid’s Game. Younger kids who are relatively new to gaming who loved the movie will adore this game, for as long as it lasts. Adult fans of the film will possibly enjoy this as a rental, and platformer fans may find this to be a non-offensive distraction while they’re waiting for Move Heroes Sly Cooper 4 and Ratchet and Clank: All 4 One to come out. Otherwise, I don’t exactly see this one being remembered six months from now, much less on down the years. Games like this frustrate me, because they got a lot of things right, but everything else wrong, most likely due to a rushed development schedule. I look back to the NES era, where some of the best platformers were licensed Capcom, Sunsoft or Konami games with actual difficulty and challenge to them (Chip N’ Dale: Rescue Rangers, Little Nemo The Dream Master, Darkwing Duck, Willow, Batman, Goonies 2, etc) with gameplay and production qualities that rivaled the best that the system had to offer. But nowadays, for every Toy Story 3 or X-Men Origins: Wolverine, there’s a dozen Megaminds and Tron Evolutions. Sure the older systems had their fair share of licensed stinkers too, but it seemed like there was a much better balance, as though being a licensed game wasn’t the almost guaranteed Ultimate Fail that it is today. As stated before, I did have some fun playing this with my kid, while it lasted. But even with the reduced retail price, this game just doesn’t offer enough in content or challenge to warrant a purchase. It’s a rental at best, and even anyone short of the most novice/youngest of gamers is still going to feel shortchanged. There was clear potential here, so I can only assume that THQ Australia wasn’t given the time and money that Avalanche Studios were given to make the vastly superior Toy Story 3. Buy it instead, and perhaps next time Dreamworks will learn something and loosen their purse strings.